One of my favorite games 0f 2010 is getting a sequel this year. It's still not Red Dead Redemption, though. Bandai Namco announced today that they're developing a follow-up to 2010's Pac-Man CE DX and 2007's Pac-Man CE. Both games brought new twists to the Pac-Man formula, and it looks like they're looking to repeat that success. From the brief trailer, it looks like the designers are mixing the game up in a variety of ways with teleporters, camera perspectives, map switching, and some cool visual effects. Also, giant ghosts. Pac-Man CE DX twisted our expectations in small ways, adding bombs and a slow-motion effect that gave you a split second to react before colliding with Inky, Pinky, Blinky, or Clyde. The main mode had you racking up the highest score possible in a timed game rather than surviving as long as possible, and it gave the game new life. That makes me excited to see what happens with Pac-Man CE2, and it looks like it might be a great time-waster and palette-cleanser this fall. 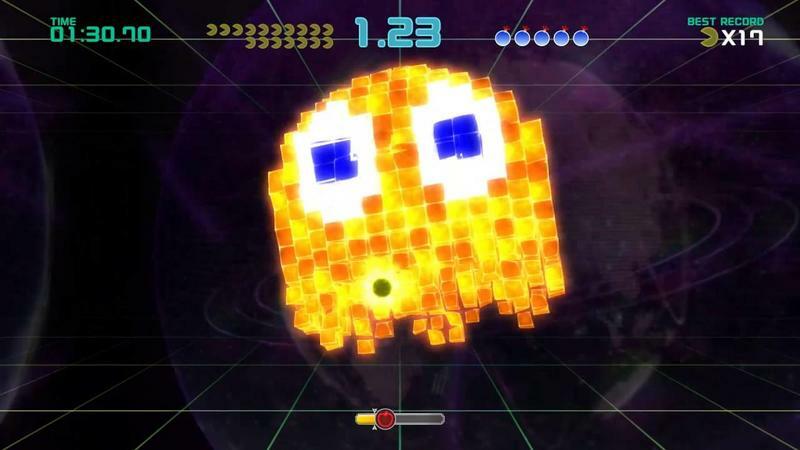 Pac-Man CE2 is heading to PC, PlayStation 4, and Xbox One this September.